Scroll down for cafes. They are listed alphabetically. Last update: April 15, 2017. 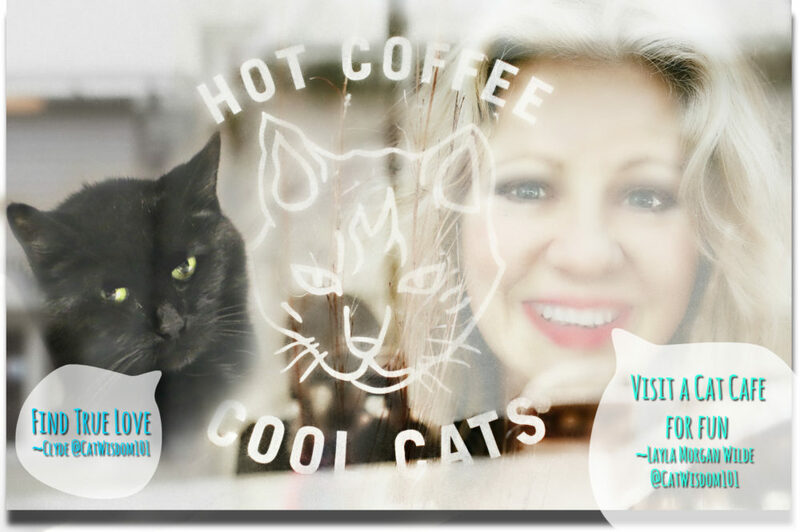 I’ve reviewed many cat cafes over the years from the perspective as a cat expert and adoption advocate, and kept close watch of the trends by consulting. This year, it was hard to keep track of the explosive growth of so many cat cafes. It was time to find out who was still in business, which cafes were still crowdfunding or had delayed openings. I visited and studied every cat cafe website, checking links and updated details to compile a comprehensive directory of all open cat cafes in the U.S. Canada, U.K. Australia, NZ and Europe plus those opening in 2018. This guide will be updated regularly. If investing in a cat cafe is your dream, consider these tips before starting a cat cafe business. Have you visited a cat cafe? Tell us which ones deserve a 5 star rating. 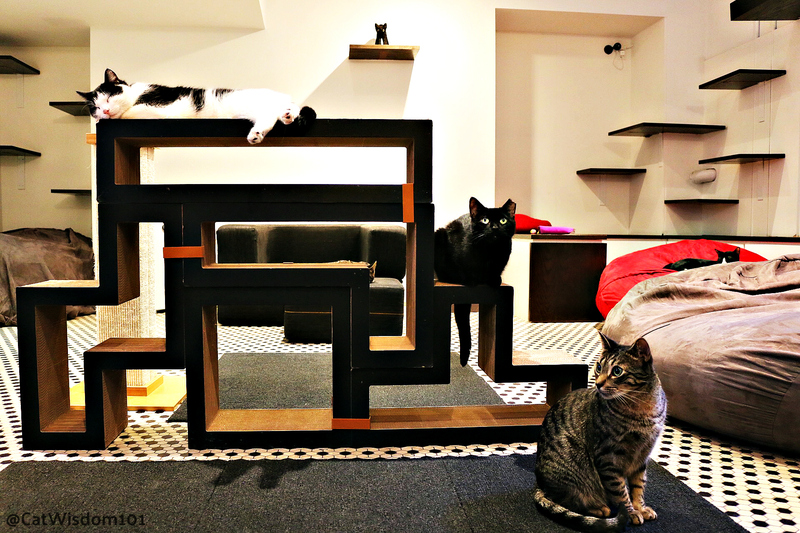 The first cat cafe opened in Taipei, Taiwan in 1998 and it began a proliferation of cafes in Asia especially in Japan. Many of the cafes were permanent homes for the cats and they were not up for adoption. In the U.S. and Canada, the trend is for cat cafes with adoption. In Europe and abroad, it’s changing to mostly adoptable cats.In Asia today, the American adoption model is being copied with novel twists like the new cat cafe/adoption center on a train in Japan. The first cat cafe in North America was a pop-up by Purina in New York but the first permanent cat cafe, Cat Town in Oakland, California opened in 2014. Gradually more cafes cropped up often via crowdfunding on Kickstarter. Today, there are 63 cat cafes in the U.S. and 14 in Canada. The trend is likely to continue to grow until there are cat cafes in every major city town and I predict franchise model like Starbucks partnering with shelters or shelters housing adoption cafes. Health codes in most countries prevent the mingling of cats and food prep so food is either prepared offsite or in a separate space. The kind of food and beverages can range of simple snacks, hot and cold beverages to full meals with alcoholic beverages. Every cat cafe website will outline the extent or specialty of their food or beverage menu. On the individual websites (see the links below) show images of the style, decor, size and configuration of the spaces in storefront buildings or stand-alone structures. Some cafes are sleekly modern while others are funky, homey or traditional but all consider the comfort and well being of the cats during the design process. 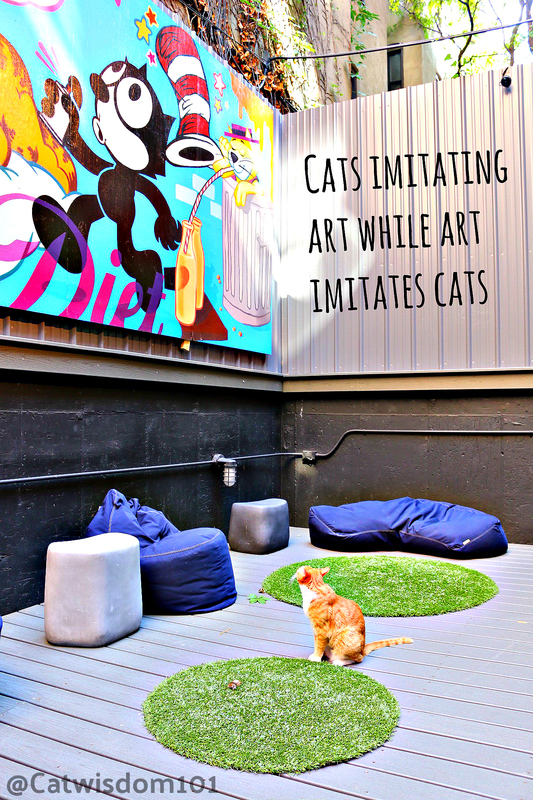 A few cafes like Koneko NYC have a private outdoor patio to be enjoyed by cats and visitors. Every cafe has their own set of rules and it’s advised to make reservations in advance. Most charge a fee to visit. The cost of food or beverages is extra. Cafes are using their space in creative ways to draws attendance and shelter fund raising from yoga classes, movie night, tarot, art and other craft classes. 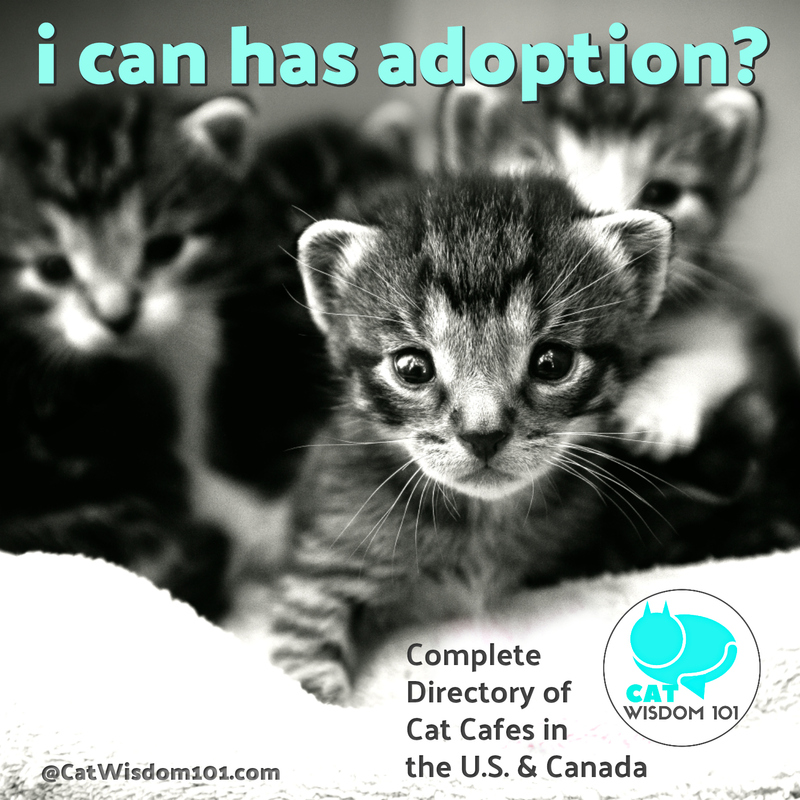 Most cat cafes function as a foster home until they are adopted and are affiliated with one or more local shelters. Generally, more outgoing cats land at a cafe where they get and extra attention from humans. They have the opportunity to get more socialized and comfortable living with other cats. Anyone thinking of adopting can take their time over one or more visits, learning about the different personalities in a more relaxed setting than a shelter. Not all visitors want to adopt. They may already have a cat or other pets. They may not be able to adopt because of lifestyle restrictions of time, space, finances or family members with allergies. They may be in between cats from separation, divorce or grieving a cat and not ready to adopt just yet. There are many reasons to visit a cat cafe as there are cat lovers. A cat cafe functions like any other cafe to grab a coffee or bite, meet a friend, work on their novel, blog or homework but with a purring bonus. Cats are known for their healing ability to reduce stress when we pet them, not to mention being humorous and entertaining. The cafe spaces have plenty of places for cats to climb, perch, hide and places for people to sit, play or just hang out in the company of cats. The cats are in charge with who they want to spend time with and what degree of attention they’ll give visitors. Visitors are encouraged to allow the cats to come to them and not pick them up. The cats may demand cuddles or sit on your lap but as always, CATS RULE. Las Vegas, Nevada Meow or Never still waiting for permits 2018? Raleigh, North Carolina Purr Cup Cafe still waiting. 2018? Washington D.C. Crumbs and Whiskers also own one in L.A.
Milwaukee, Wisconsin Sip & Purr under construction. Open late 2018? I think that there’s another cat café that is opening soon in North Carolina as well. It’s either in Greensboro or Kernersville, I think. I’ve not yet been to a cat café, but you definitely have me intrigued. I’ve done catsitting for several friends and–though I don’t have a cat of my own–I’ve enjoyed my friends’ cats. Thank you for your well-done, informative, information-packed article. Well done! 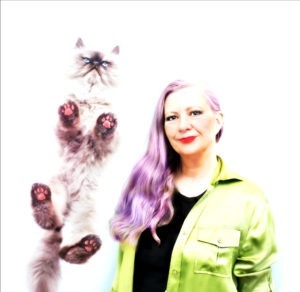 Oops, the link for Miss J. LA’s Fur Babies Cat Cafe opens up as Regal Cat Cafe! Regal is in a different Province and almost a 1,000 miles away from Winnipeg! Layla, could you fix the link as Fur Babies is in Winnipeg, Manitoba, Canada! I’ve been there and it is wonderful! This is very cool! My human thanks you for doing this. Will repost when it shows up in my IG feed. I’ve been planning to do a monthly spotlight on various cat cafes around the world so this is super helpful. Thank you! Cat cafes are springing up everywhere. Thanks for this list! This is a great list to have! Our mom has visited the two in NYC and loved them both. I love that outdoor space! Thank you for the list of cat cafes. I knew there was one here in Georgia, but I wasn’t aware of the second one! I have visited the Cat Cafe in Oakland, CA several times to get a “feline fix”. Great place, great idea. I have visited the Cat Cafe in Oakland, CA several times for my ‘feline fix’. I love the concept. You’re lucky to live nearby. They have a great adoption rate. We are so excited to see this is something that is still growing and purr that folks will monitor them and report any actions that may cause harm to a cat. We think that the vast majority are legit to the max but there is always the possibility of those that aren’t. Thank you for this list! It aapears that Cali and Fla are in the lead. It’s growing as we speak and have two more to add! You have several fun ones in Paris. Let me know if any open up near you or other regions in France. This is pawsome. Can I use the directory link to update the one I featured in my recent post about Cat Cafes on my cat character’s blog? I’m still hoping one will open on Long Island and also to visit one or all of the NY ones. Hi Debbie, you’re welcome to swap out your existing link with a credit. I’m sure Long Island will get their own and I’m waiting for one near me in Westchester. 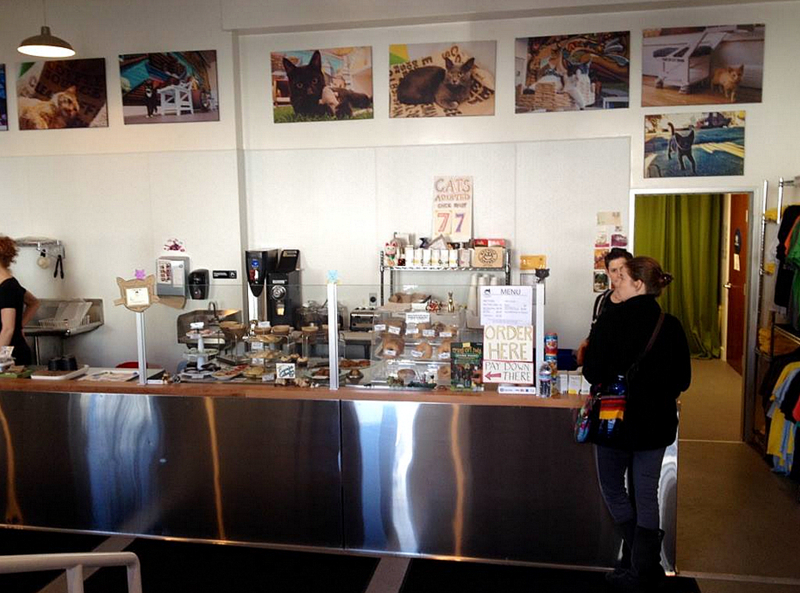 Edmonton, Alberta, Canada has the Cat Cafe On Whyte which is partnered with SAFE Team Rescue. They just opened this year at the end of March. Thank you Joanne. I’ll add it. Thank you for making this list…and I was surprised to find out that we have four cat cafes now in Michigan. Wonder if I can talk my cat friends into visiting some of these, road-trip style! WHEEEEE!